Sadio Mane scored twice while there were other goals from Mohamed Salah and Xherdan Shaqiri as Liverpool jumped to top spot in on the Premier League table following their 4-1 demolition of Cardiff City at Anfield on Saturday. The Reds dominated from start to finish at Anfield but needed late goals from Shaqiri Sadio Mane to guarantee the points after Callum Paterson's goal for Cardiff. While they continued their unbeaten start to the season, Jurgen Klopp's men did miss out on setting a club record of 10 successive home clean sheets in the league. Salah who became the quickest player in Liverpool history to score 50 goals with his midweek Champions League brace wasted little time in setting the tone in Saturday's game with his opener 10 minutes into the game. 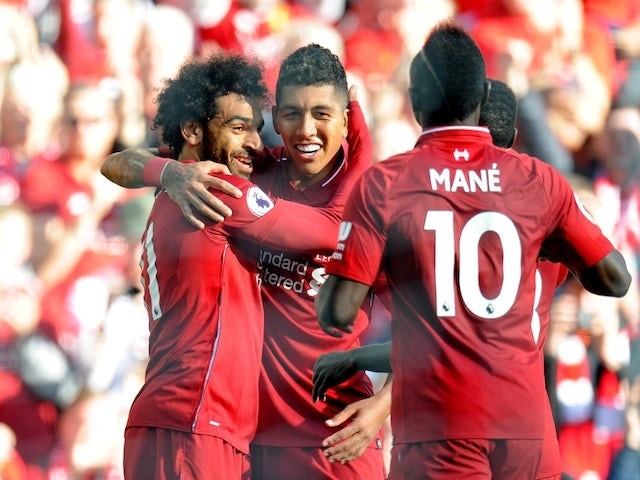 Mane and Roberto Firmino each had efforts blocked in a penalty box scramble before the Egyptian swooped to thrash home from eight yards out - his 17th goal in his last 14 Premier League outings at Anfield. Liverpool after 10 games have 26 points three more than Manchester City who be in action on Monday at Wembley against Tottenham Hotspur.